If we give objects too much power, and we do, it’s because we invest them with memory. So, what’s this bicycle about? Chicago steel. Peoria rust. A four-year-old falling off a trike and, after getting patched up and reassured by a woman who no longer offers such reassurances, getting back on. It’s about standing up to climb. A drum brake that works. 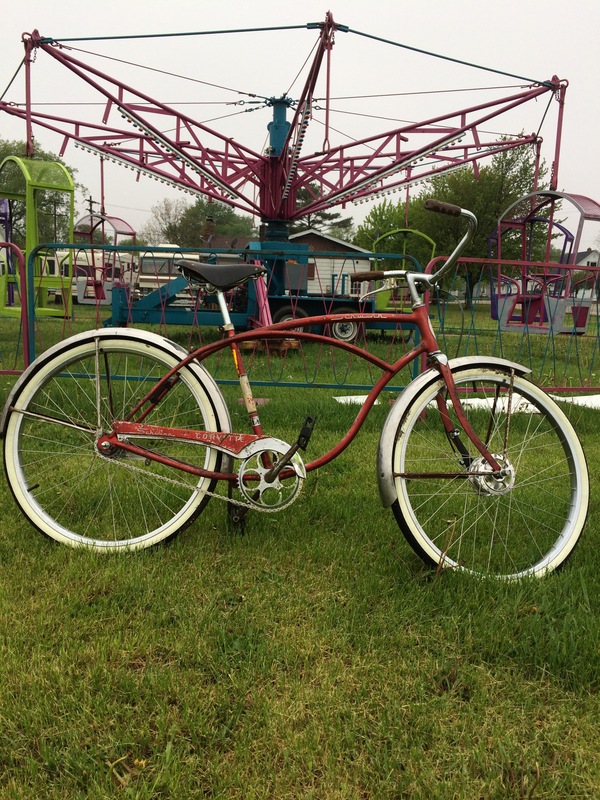 A coaster brake that doesn’t. It’s about sitting in a basement in a puddle that forms and evaporates every year for thirty years. Remarkably enough, it’s about Benny Goodman. A 5,000-square-foot dance hall north of Peoria. And Dave Brubeck. It’s always about Brubeck and time. Feel free to take five right now. It’s about knowing there’s no such thing as a headwind if your entire upper body enters the wind at once. It’s about other people’s memories. The stories we tell ourselves. The poet reminding us nothing gold can stay. It’s about how to move forward, to maintain momentum. 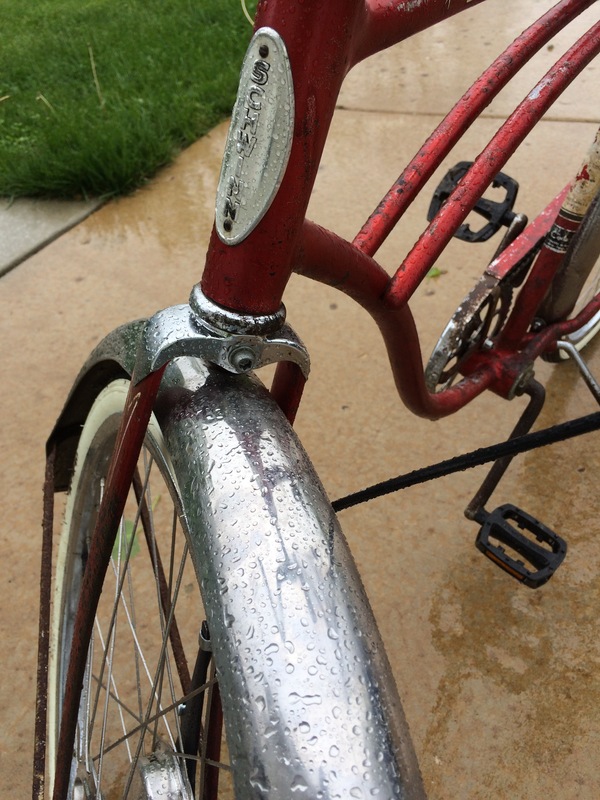 This entry was posted in #30daysofbiking, Report from the road, Schwinn Corvette and tagged memory, music, poetry, rain. Bookmark the permalink. I had a rainy ride yesterday, too. I’m trying to decide what to do today. Thing about the #30daysofbiking: You promise people you don’t know that you’ll ride every day in April, and you do, even when it rains. Shorter rides for sure, but I still enjoyed them.